Fringe World Festival has a reputation for hosting the wildest, wackiest and sometimes (risque -est) shows. 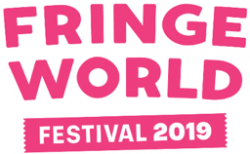 But, Fringe World Festival 2019 has something for everyone! Including the kids or ‘Little Fringers’. With loads of free and ticketed family-friendly shows on throughout the festival Little Fringers will be spoilt for choice. Thanks to the City of Perth, Fringe World 2019 also has free and family-friendly weekend events. Fringe Fridays at the Twilight Hawkers Market combine amazing food with some of the world’s best buskers performing at Forrest Place while Fringe Sundays offer chilled vibes, tasters and teasers of some of the best shows Fringe has to offer this year. Fringe has a two-week crossover with the school holidays to keep the kids entertained. Open from 1pm during the school holidays, The Woodside Pleasure Garden is the best place to take the kids for an arvo of free activities and to chill out in the shade with a cold drink and great eats. Elsewhere in Northbridge, families can hit up the State Library Discovery Zone, where WA Museum is offering youngsters the opportunity to get crafty and create a new bug species with Build a bug – Busy Bees. 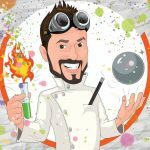 PIERRE ULRIC’S WACKY MAGIC AND MAD SCIENCE : Following on from ‘A Fabulous Teleportation Experiment’, a hit with kids at Fringe World and Adelaide Fringe 2018, Perth magician Pierre Ulric returns with a new show that’s bigger, better and brings in brand new levels of madness! PETER COMBE IN LIVE IT UP AND FRY AN EGG ON A SLIPPERY DIP!! 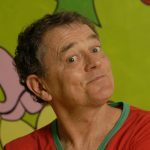 Peter Combe returns with a new joyous show for kids, and adults who are still kids at heart. New songs from his Live It Up collection, plus the old faves Newspaper Mama, Juicy Juicy Green Grass, Spaghetti Bolognaise, Ting Tang Teng Tong and probably every child’s favourite Wash Your Face in Orange Juice. So Fry An Egg On A Slippery Dip and Sing! 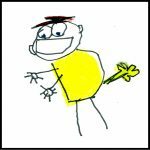 CHILDREN ARE STINKY: After a total SELL-OUT 2018 FRINGE WORLD season, tickets are expected to fly out of the door for this high-calibre circus with a rocking soundtrack and genuine belly laughs that will leave adults and children with their jaws on the floor hooting for more. AMELIA RYAN’S 80’s BABY: It’s the sing-along, dance-along, pop-party for little people! 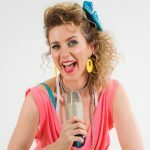 If you’re under 5 and love to jive, join Adelaide’s own cabaret darling (and new mum) Amelia Ryan, as she bops and bounces for babies, tots and tikes. With musical maestro Michael Griffiths on the keys, you’ll go to Funkytown, do The Locomotion and even Walk Like an Egyptian at this retro-party where both girls AND boys just wanna have fun! From vintage Play School classics to the disco favs that will get mum and dad’s groove on, plus a few current kids hits snuck in for good measure, you’ll be on your feet from start to finish at 80’s Baby! MONSKI MOUSE’S BABY DISCO DANCE HALL: Why toddle when you can dance?! 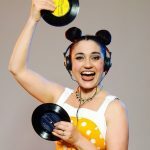 Selling out shows around the world, come find out why DJ Monski Mouse and her dancers are a hit with the under-fives and their parents/carers. Expect to do some high-energy smiling to retro hits, pop favourites and funky nursery rhymes. Featuring a ‘very important baby’ area to roll around to the music. Fringe World Festival is on from 18 January to 17 February. Full program here.